HANNOVER, Germany--(BUSINESS WIRE)--RealWear, the industrial hands-free knowledge transfer platform for frontline workers, today announced that Shell has selected RealWear’s hands-free head-mounted RealWear HMT-1Z1 platform to support in the digital transformation of its operations. The devices are being deployed through Honeywell in 12 countries including US, China, Russia, India, Germany and Austria and 24 operational sites. 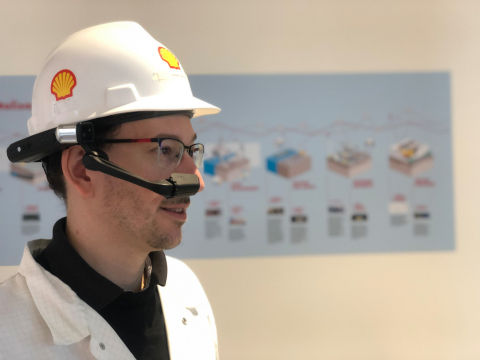 Shell selected RealWear’s hands-free head-mounted RealWear HMT-1Z1 platform to support in the digital transformation of its operations.